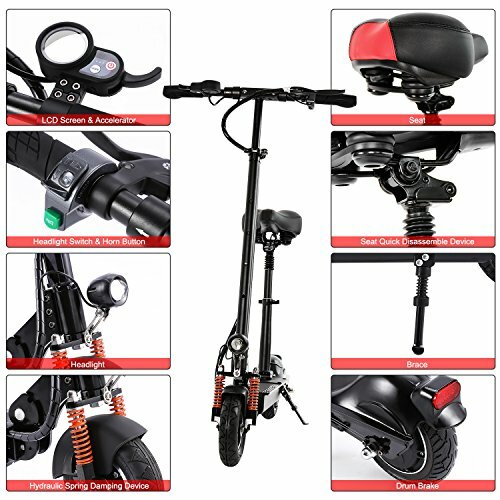 If your looking for the best electric scooter for around $500 bucks look no further than the Ancheer s800 scooter. 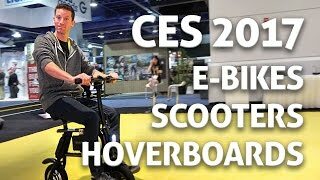 If your not in the market for an e-scooter you should be because there super freaking fun! 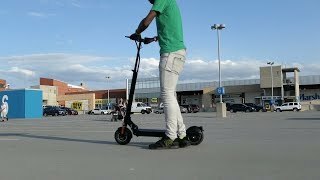 I bought an Ancheer electronic scooter a few months ago and it’s been one of my best purchases. 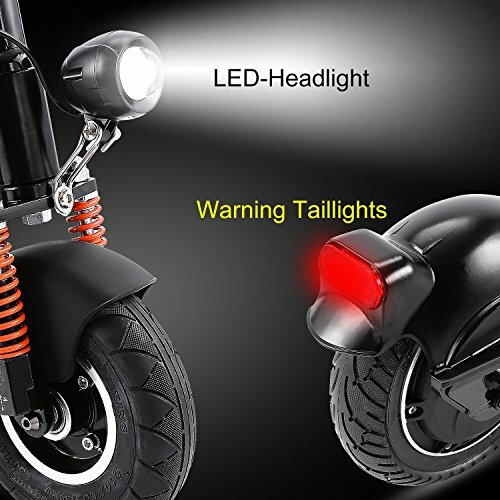 This thing has everything you need including suspension, large battery, high power 350 watt motor, removable seat, and it folds down to a very compact size. You may notice it only has 3 out of 5 stars but I promise you this is a 5 star scooter. The only complaints are due to the seat that’s hard to put together since there are no instructions (I figured it out though) and complaints about the limited top speed. Well the power outputs limited by the software but this can easily be changed, I’ve gone about 22MPH on flat ground and that’s fast enough!. (Contact me for info on removing governor). Large battery pack can take you from 20 to 25 miles on a single charge! 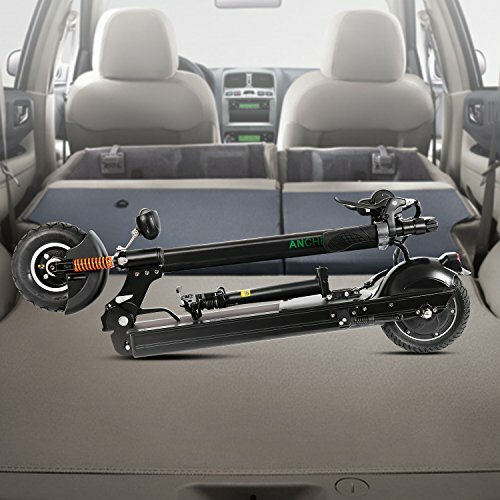 Folding design allows you to store the scooter in a closet or take it with you in the trunk of your car. Comfortable seat with cushioning and suspension included! 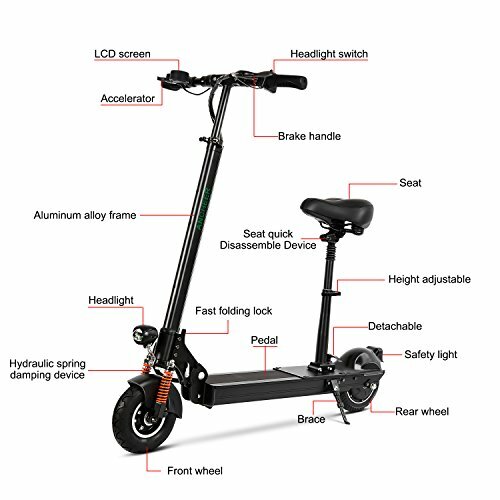 POWERFUL: The commuter electric scooter has 350W Motors that help it climb over ramp of 20° Shope, Plus the built-in 5-hour fast-charging technology. 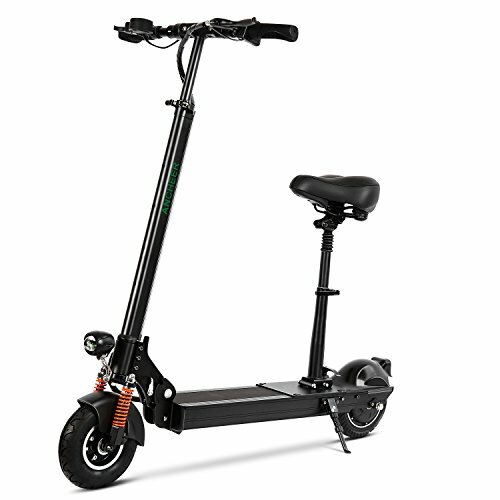 Cruising max speed of 21.8 mph (35km/h) with a run-time of up to 120 minutes of continuous use for riders up to 330 lbs(150kg). Generally have a range of about 35-40 km (21.8-25 mile). 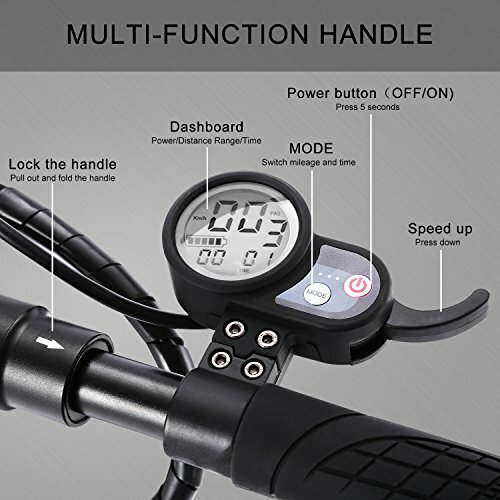 The lowest price of Ancheer S-800 Electric Scooter Easy-Fold-n-Portable Ultra-Lightweight City Urban Commuter Adult E-Scooter/E-Bike/Electric Bike with Retractable Seat, 22 MPH Speed, LCD Display, Support 260 lbs was obtained on April 18, 2019 1:31 am. 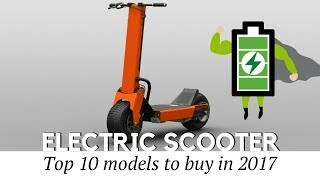 Not a bad little electric scooter. It will support up to 330 pounds and the speed is in Km/h. I had it topped out around 21 Km/h. 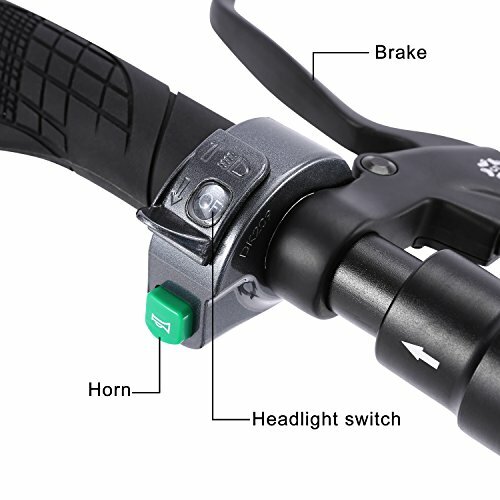 You need to push start the battery, meaning you will need to walk the scooter before you can hit the gas trigger and ride. Battery lasts a long time, upwards to 4-5 hours. July 26, 2017: At less than a month's use currently with about 160 miles logged in. The scooter has been working great thus far! It is extremely fun to ride. Will update more as time goes on.